Nowadays the majority of people worry about their health and generally try to ensure their body is in good shape. People talk about fitness and work out routines on a day to day basis. 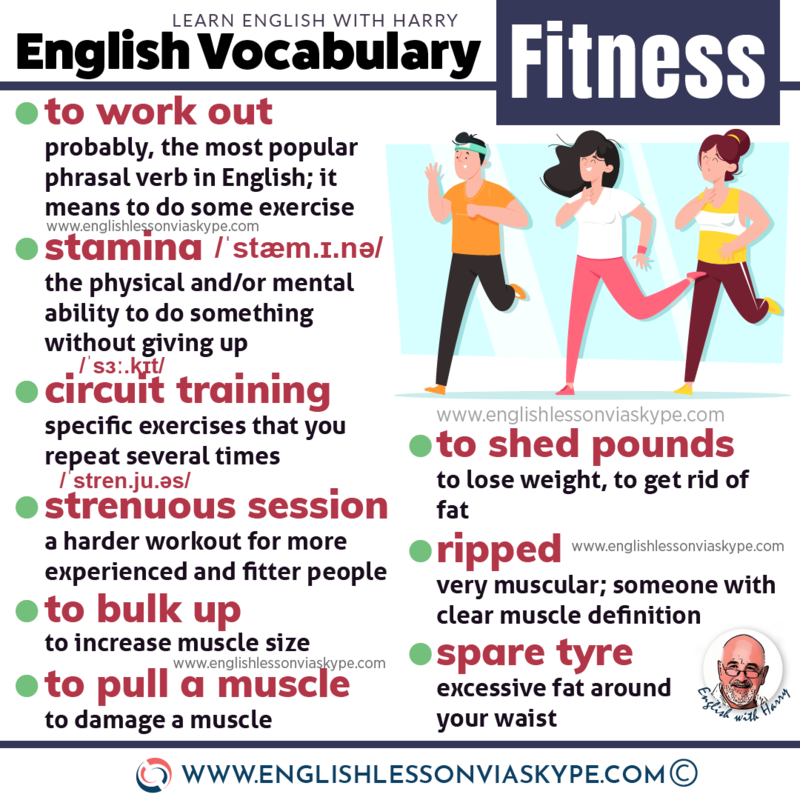 Hopefully, our short English fitness vocabulary will be useful to you next time you talk about your level of fitness or your exercise routine in English. First of all, the word HEALTH is sometime used incorrectly. Make sure you use it is a noun. ex. My health is my wealth. – A very common English expression but it is very important. The word HEALTHY is an adjective so again make sure you only use it in this way. Adjectives in English describe nouns and pronouns. We can place adjectives either before a noun or after a verb. ex. I am healthy. He is very healthy. Porridge is a healthy breakfast choice. Also we can use it in the comparative format healthier, healthiest. To ensure you are in fact healthy you should visit the doctor frequently. I am terrible at this and usually only go if I am ill and even then I have to be very ill before I make an appointment. However, I still try to ensure I eat a healthy diet and take reasonable (some) amounts of exercise. Before taking up exercise (cycling, running or gym work) it is advisable to get a check up (let the doctor check your heart, blood pressure etc). If there are any problems they can be picked up (identified) before it is too late. Going for a spin – Take your bike out of the shed or basement and cycle for several kilometres. ex. I took my bike for a quick spin before going to work. To work out – Probably, the most popular phrasal verb in English fitness vocabulary. It means to do some exercise. ex. I try to work out twice a week. Workout is a noun and it means some time spent in the gym (or in the park, for example) doing exercises. ex. I went to the gym for a workout. I usually have a workout three times a week. ex. I usually like to go for a brisk (quick) walk to stretch my legs after sitting at the desk all day. ex. Eating fewer carbs and more protein will help you shed pounds. ex. I really want to shift some weight before my holidays. ex. Our effective seven-day diet plan will help you get rid of that spare tyre in no time. ex. Regualr workouts helped him to slim down considerably. Loosen up/Warm up – Before doing anything in the gym or before you set out for your jog it is always recommended to do some stretching exercises to “loosen up” or “warm up”. In that way you should avoid any muscle injuries. ex. I do 2 circuits and repeat every exercise 15 times. After the gym or your jog you will want to warm down (similar to warm up but at the end of your work out). 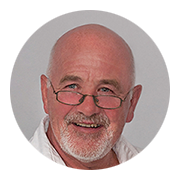 Then you may jump into (quickly as not much time) the shower, grab (again to take something quickly) a quick drink and get going (go where you have to go, work or school or home). In order to stay healthy, we need to have an active lifestyle. Please make sure that you not only learn English fitness vocabulary words, but also maintain a regular exercise routine.